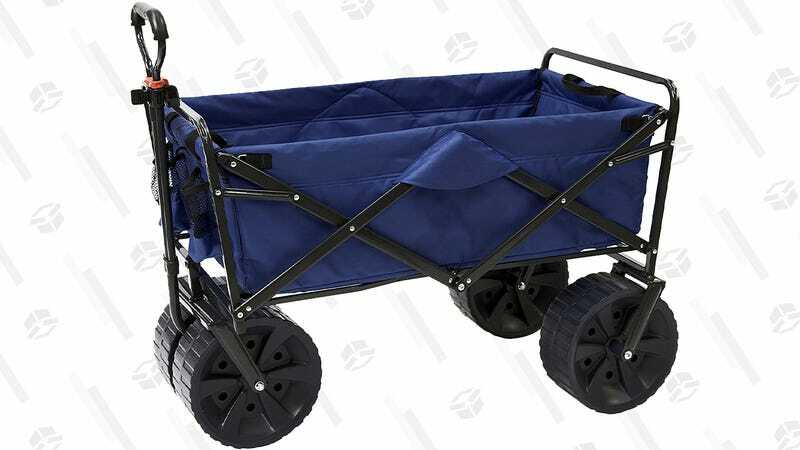 I don’t believe you if you say you have never in your life wished for something like the Mac Sports Heavy Duty Collapsible All Terrain Utility Wagon; it would improve your experience in so many situations that you kind of owe it to yourself to buy it. No longer will you have to lug equipment, chairs, and children to the field for soccer games — just load it all into the wagon and go. Paying for expensive drinks at outdoor concerts and festivals? Nah, just toss some in a cooler and make the wagon your own personal beverage kiosk. And let’s just talk about the beach. Finally, you can get all your gear to the sand (and back) in a single trip, thanks to this little miracle of modern design. 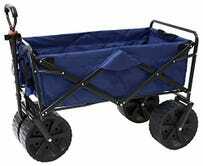 Ask not what this wagon can do for you. Ask why you don’t already have one.